From the Jo Nesbø film “The Snowman”. Every year the Norwegian love for “Easter crime” makes headlines and tops the lists of strange ways to celebrate the holiday around the world. 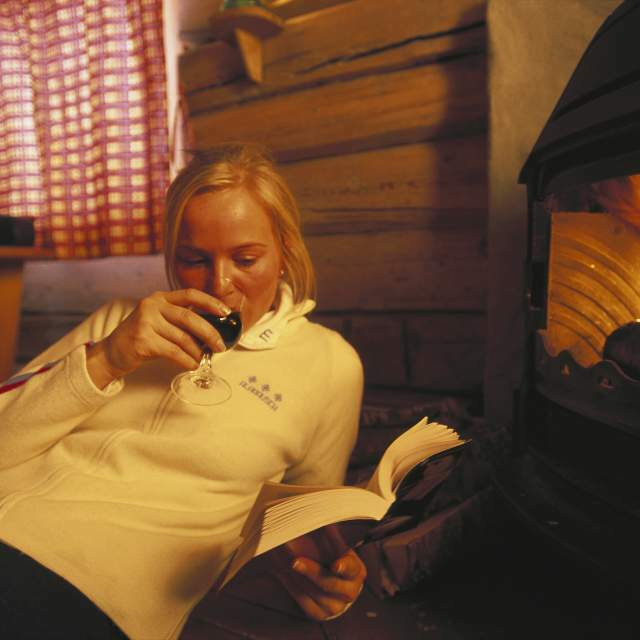 In Norway, reading crime stories during Easter is as normal as eating chocolate and going skiing. But to the outside world, the “Easter crime” phenomenon is – quite literally – a mystery. The genre of dark crime stories with bleak Scandinavian settings – often referred to as Nordic noir – has a massive following around the world. But the obsession with crime at Easter is a solely Norwegian thing. “So why do Norwegians thirst for bloody murders during the Easter specifically?” the German newspaper Die Welt wonders. To solve that mystery, we need to go almost a century back in time. It’s February 1923. The two young and broke Norwegian authors Nordahl Grieg and Nils Lie suddenly come up with a steaming idea: To cash in big, they decide to write a bestselling crime novel. The publisher Gyldendal is on board. The Sunday before Easter they launch a major advertising campaign, in which the book’s title “Bergen train looted in the night” gets the top spot on the front page of the Norwegian newspaper Aftenposten. The stunt turns heads. The ad is so believable that most people don’t realise that it is fiction – they believe the train has actually been robbed. The drama gets massive attention, and the novel becomes a huge success. “Many consider this novel to be the first Easter crime and the very origin of the tradition”, Bjarne Buset, information manager at the Norwegian publishing house Gyldendal, says. In the novel, we get acquainted with two young students who ski from cabin to cabin during Easter. And the fact that Easter is closely associated with the Norwegian cabin (“hytte”) is a part of the reason why the tradition has taken roots, Buset states. “Few other countries have as many days off during Easter as Norway. The length of our holiday means that we have time to read”, he says. “Nordic noir” has become a term that refers to dark contemporary crime fiction from the Nordic countries. The international appeal of authors like Jo Nesbø has resulted in a major popular cultural export that is historically unprecedented with regards to popular fiction from the Nordic countries.